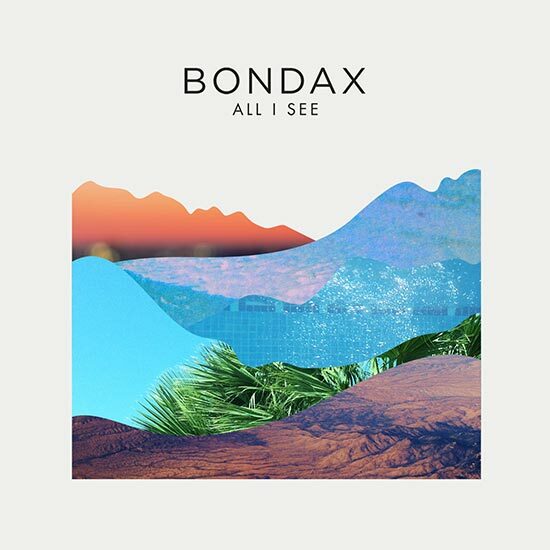 We have technological warp-speed to thank for the fact that Bondax is the astounding electronic music project of a couple of teenagers. On their latest single, “All I See”, the duo mix playful house rhythms with vocals by Tanya Lacey that stereotypically — but no less wonderfully — celebrate the glories of being slave to the music and grooving through the night. With their usual goal of creating mind-bending pop music, YAWN get rowdy on their latest single, “Flytrap”, which flies through many an exploratory landscape with ease. The track kicks off with ethereal vocals and hallucinatory visuals, only to progress into funky guitar licks, dubby rhythms, and calculated chaos. Their next record, Love Chills, comes out September 9th on Old Flame Records, and this is a damned fine first single. Summer is in full swing on “Gold Silver Diamond”, the latest single from Generationals’ upcoming record, Alix. In creating the album, the New Orleans duo spent a good chunk of time at the studio of Richard Swift in Cottage Grove, Oregon, deconstructing and reconstructing their own sounds with Swift’s help. The result is what is arguably their most straight-forward and carefree pop record yet — at least, on the surface. According to band member Ted Joyner, the track is actually “a feel-good party track that is about emptiness, despair, and the meaningless futility of life.” Yayyyyyyy. Alix comes out September 16th on Polyvinyl, and the dudes will be touring the United States in October and November. At the heart of “Move Me” are the vocals of Kelly Zutrau, which prop up the band’s minimal style of indie soul with something melodic to latch onto. Romantic in its inspired allure, “Move Me” seems to switch between the pensively melancholy and the full-on blissed out, as if echoing the complexities of being in love. Wet will be on tour with SOHN this fall, and “Move Me” was released earlier this month on Kitty Kash’s Love The Free II mixtape. You can hear the first mixtape below. Residing within a desaturated world of greyish blue, AERS’ latest track, “Blue Tempest”, layers vocal washes atop each other like the gentle crashing of waves. Minimal and simplistic, its lyrics seem to hint at the slow unfolding of time and a necessary patience to handle such unfolding, with a need to let go. The Brooklyn band’s debut EP of the same title will be out soon. One of Cascine’s latest signings, Lemonade greets the world with “Stepping”, a stuttering, glitched out dance track that touches on the expansive. According to Cascine, “Minus Tide is a collection of tracks that contemplate the sync of natural cycles, the eternal allure of wide open spaces and the belief that freedom can still be experienced within the confining grids of urban life.” Minus Tide will be released on September 9th.